To purchase stock images, click on image to go through to micro stock site. Macro of a green lacewing bug reaching for a blade of grass seed. 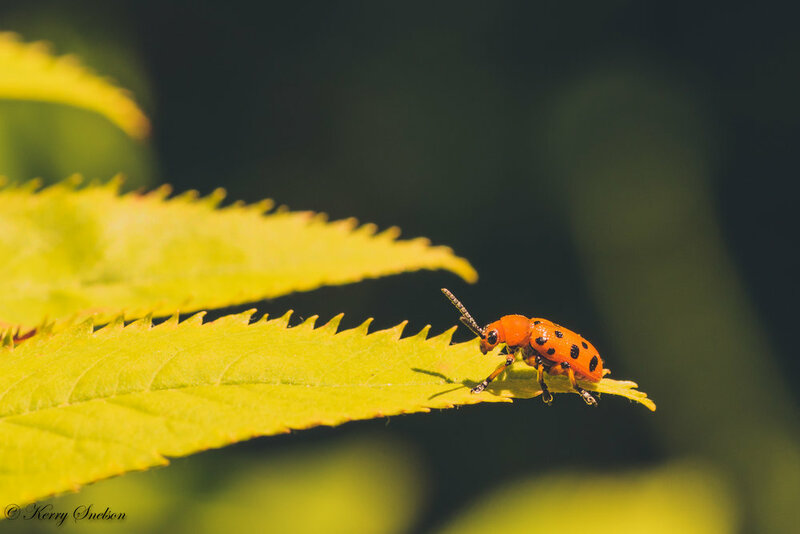 Macro of a Twelve Spotted Asparagus Beetle sitting on a yellow-green leaf. Macro of a Marsh Moth Caterpillar eating a leaf. Macro of a Flesh Fly resting on green foliage. A macro of a monarch butterfly on a leaf, ventral view. 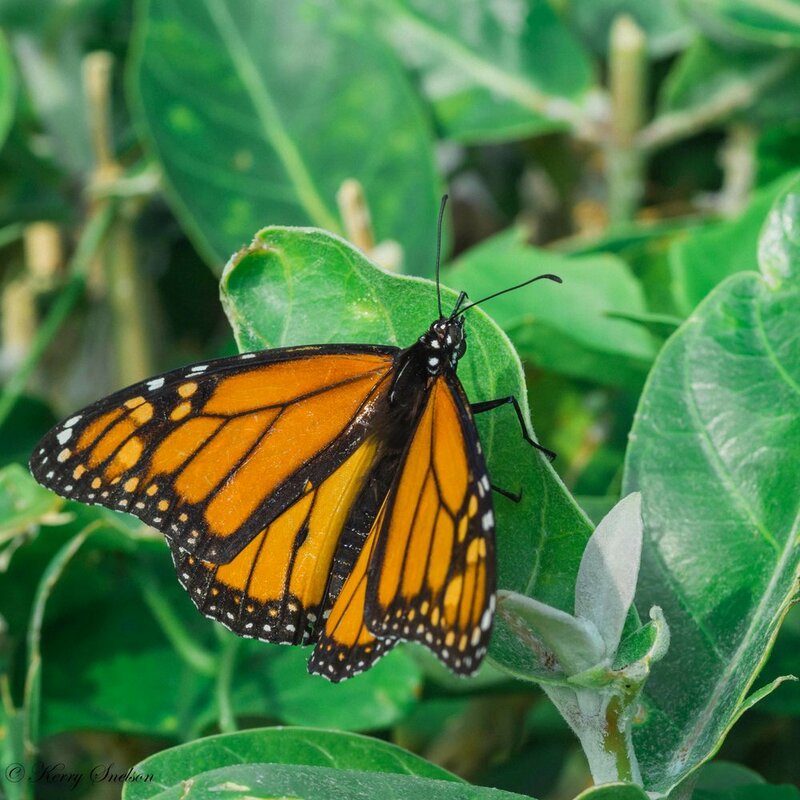 A macro of a monarch butterfly on a leaf. Macro of two milkweed bugs mating on a leaf. Macro of the African Melittia Oedipus Moth resting on a leaf. Macro of a Female Hawaiian Gasteracantha Cancriformis with its prey. Macro of a pacific beetle cockroach nymph. Macro of a praying mantis hanging from a branch. 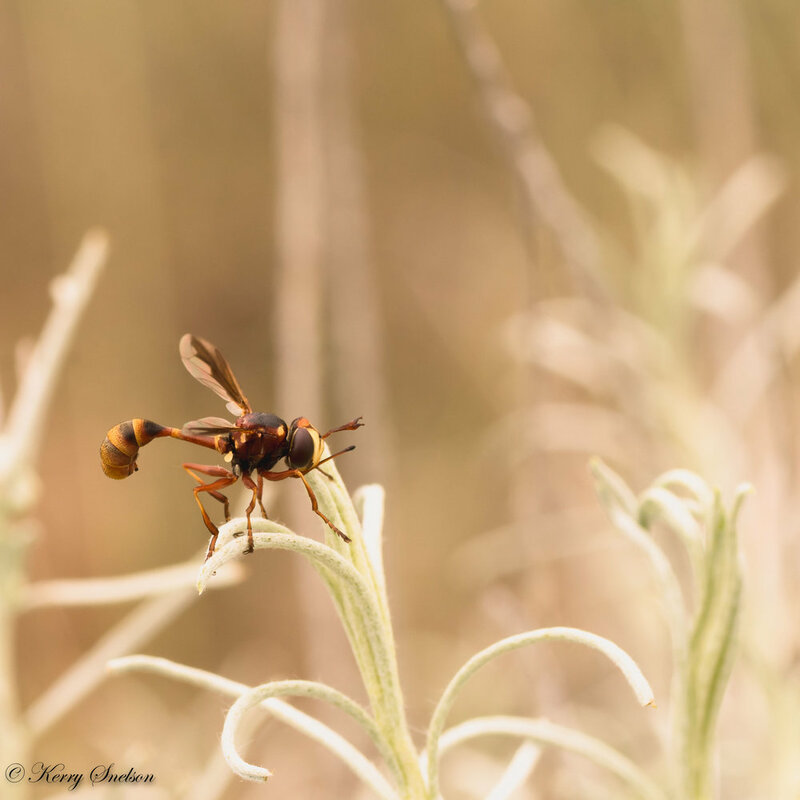 Macro of a sand wasp sitting on a white flower. Macro of a Cabbage butterfly on a purple lupin. Macro of a Gray Hairstreak butterfly resting on a purple lupin. Macro of two rose curculio weevils mating on the petals of a yellow rose. Macro of a pear slug on a damaged leaf. Macro of a pile of red and black ants. A macro of a grey bee on cherry blossoms. Macro of worms with dirt on their bodies. Macro of a worker bee gathering pollen from cherry blossoms. Macro of a hoverfly resting on a curled dried leaf. Macro of a tiny rose seed wasp on the petal of a pink rose. Macro of a tan crab spider on green leaf. Macro of Hawthorn Root Borer sitting on a leaf. Macro of a hoverfly collecting pollen from a dandelion. Macro of a hoverfly sitting on a leaf. Macro of a ladybug larvae on a leaf. Macro of a seven spotted ladybug missing one wing. Macro of a tiny inch worm on a yellow tansy flower. Macro of an Ichneomon wasp resting on a thistly leaf stem. 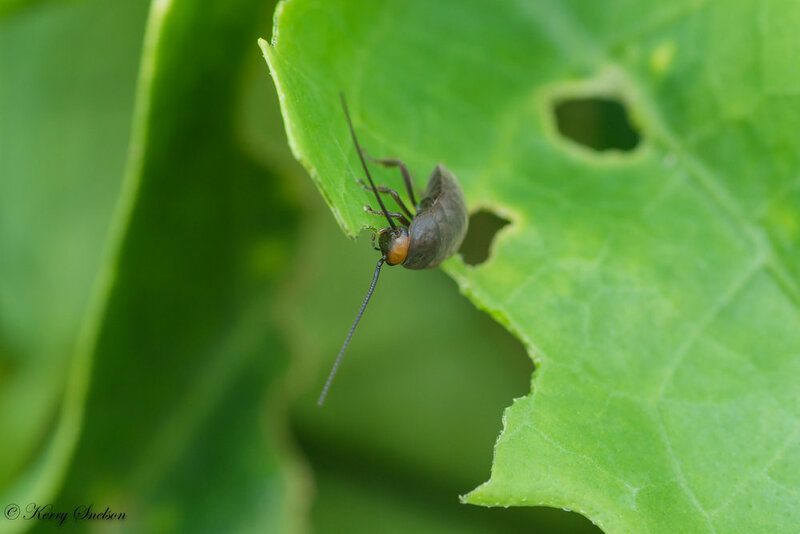 Light grey fly with orange eyes siting on the jagged edge of a leaf with an orange edge. Macro of a colourful eyed Rose Hip Fly sitting on a leaf. Macro of a Swallowtail Butterfly Larva starting to spin its cacoon on a leaf. Front view of Dagger moth caterpillar. Front view of a speared dagger moth caterpillar as it begins to spin it cocoon. Focus on head. Macro of a paper wasp looking over top of a green leaf. Worker bee gathering pollen from a white flower. A bee fly resting on light green foliage. Macro of a brown Lungus bug sitting on a leaf. Macro of a water strider on a pond. Macro of the underside of a spider in its web. Macro of two Nuttall's Blister Beetles mating on the stem of a plant. Macro of a spittlebug surronded in spittle on a green leaf.